Sports TV Channel / The Kontinental Hockey League (KHL) is an international professional ice hockey league founded in 2008. It comprises 27 member clubs based in Belarus, China, Finland, Kazakhstan, Latvia, Russia, and Slovakia and it is planned to expand to more countries. It is widely considered to be the premier professional ice hockey league in Europe and Asia, and second in the world behind the NHL. 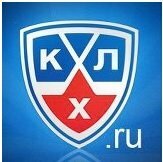 KHL has the third highest average attendance in Europe with 6,121 spectators per game in the regular season, and the highest total attendance in Europe with 5.32 million spectators in the regular season.